Craig Silverman of BuzzFeed recently published an article about how the Australian version of IBTimes.com is staffed with writers based in the Philippines. Silverman also drew a connection between IBTimes.com.au and Tune Media, which is in charge of 18 other brands, including TechPlz, The Gamer's Drop, and Citzizen Oracle. 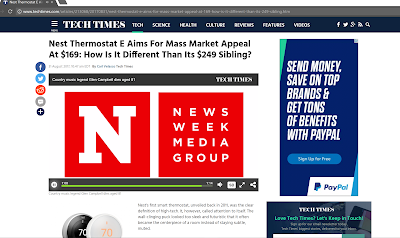 It's a fascinating article, although I have a feeling there are even more properties that are part of the same network as International Business Times and Newsweek Media Group. 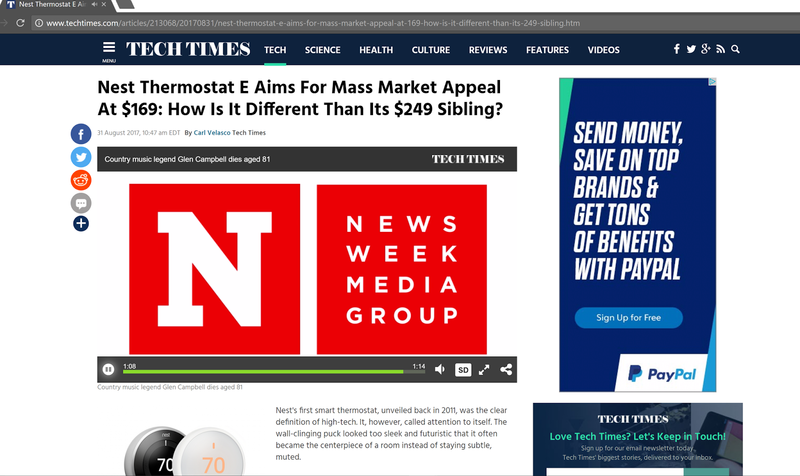 The "About" page for Tech Times doesn't mention IBTimes or Newsweek, nor does it say who publishes Tech Times. The corporate location is 140 Broadway, Floor 46, while the newsroom location is 33 Whitehall Street, Floor 7. There's a masthead with 23 names of various editors and reporters, but nobody is identified as editor-in-chief. The owner is simply referred to as Tech Times LLC. Tech Times LLC was incorporated in New York in December, 2012. The company's original name was "iTech Post Media Group LLC," but it was changed in September, 2013. In 2015 and 2016, Tech Times LLC submitted five visa applications to the U.S. Department of Labor. The application forms can be accessed at MyVisaJobs.com On every application form, the section for "Employer Point of Contact Information" lists the name "Johnathan Davis." Davis's title is "Publisher," and he uses a @TechTimes.com e-mail address. IBTimes was co-founded by Johnathan Davis and Etienne Uzac, so either there are two men named "Johnathan Davis" publishing similar websites, or it's the same guy. For the record, I don't believe it's inherently wrong to hire writers in the Philippines for your website. It's not as though the "tech" beat is one that requires a writer to be in a certain location. And if employees at TechTimes are putting in an honest day's work, then who am I to categorize them? However, I do think there's bound to be a difference in the final product. There are old videos on YouTube of TechTimes reporters interviewing folks on the streets of New York, and it's tough to produce those videos if your reporters are halfway around the world. That's obvious, right? According to TechTimes's "About" page, their editorial team "is comprised of passionate and consummate editors and writers who are based in the US, Europe, and Asia." So there's wiggle room in terms of geographical layout. The data on Quantcast shows TechTimes.com had 1.8 million pageviews in August, 2017, down from 9.3 million pageviews in August, 2016. Earlier this morning, I called IBTimes's headquarters and left a message explaining that I was planning to write a blog post about the apparent connection between TechTimes and IBTimes. I gave them my phone number and will update this post if I hear back.